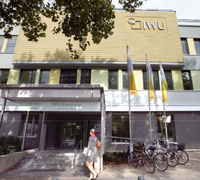 The Institut Wohnen und Umwelt GmbH (IWU) - institute for housing and environment - is a non-profit research institute of the shareholders State of Hesse and city of Darmstadt. The institute does basic research as well as applied research and has an emphasis on interdisciplinary work. Read more about the different fields of activities.